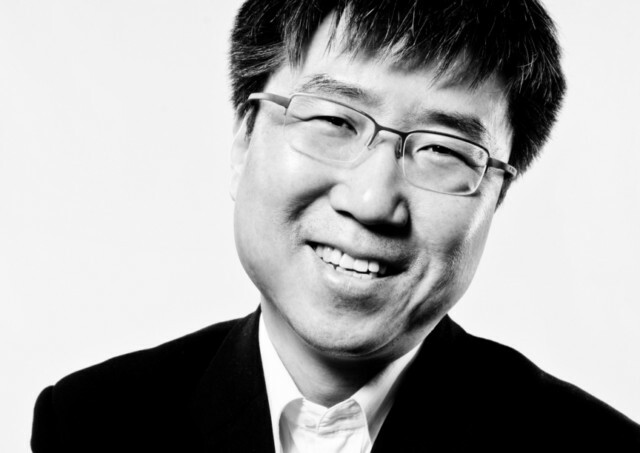 Ha-Joon Chang’s hands are chopping the air like helicopter blades. He whirrs them in a tight 360-degree spin or brings them down on the beat like a conductor. Sometimes he tightens his fists to emphasise frustration, or holds his hands flat — palms upwards, fingers splayed — as though weighing two bags of rice. At one point he stretches both arms over his head before bringing them together as if along an invisible monkey bar. What could be prompting so much passion? You guessed it. We are talking economics. In Chang’s hands, though, economics is not dry. The 50-year-old South Korean-born academic is the author of several bestselling books on the subject, leavened with wit and bearing provocative titles such as “23 Things They Don’t Tell You About Capitalism” (2010) and “Bad Samaritans: The Guilty Secrets of Rich Nations and the Threat to Global Prosperity” (2007). His “23 Things”, which claims that free markets don’t exist and that the washing machine changed society more than the internet, has sold 650,000 copies and been translated into 32 languages. All in all, he estimates, his books have been bought by more than 1.3 million people — not bad for an economist who turned up in Cambridge 27 years ago barely able to speak English. Chang conducts his guerrilla war against economic orthodoxy from a cramped office at Cambridge university’s Sidgwick site. For him, economics is a tool for changing the world, not for explaining why the world is as we find it. He is a reader at Cambridge rather than a full professor, a relative sidelining he attributes to his heterodox approach. He is, though, a star with a big following. In the wake of the global financial crisis, organisations such as the International Monetary Fund — which used to regard him as “an oddity” — regularly invite him to speak. Still, he reckons the economics profession overall remains resistant to fresh ideas, clinging to its status as a pseudoscience undergirded by unbreakable mathematical rules. We have come to the Rice Boat, a Keralan restaurant specialising in south Indian cuisine. A 10-minute walk from Chang’s office, it has become his unofficial canteen. The restaurant is large and, when we walk in, entirely empty, though Chang assures me it’s heaving in the evenings. The walls are a garish yellow and hung with the sort of Indian paintings you might find at a car-boot sale. The bathroom lights don’t work and I am handed a lightsaber-type wand to negotiate the darkness. The food, despite the unpromising surroundings, turns out to be excellent. Chang recommends chicken, lamb and tuna cutlets as a starter followed by Kerala red fish curry and the restaurant’s “famous” Kerala beef fry. “You can have beef here because they are Christians.” We also choose appam, a spongy pancake made with fermented rice and coconut milk, some chapattis, and a portion of Kerala boiled rice, which Chang explains is fluffier than the Basmati variety. Chang is dressed in academic casual, an open-neck shirt and slacks. His fringe is as jagged as a graph of booms and busts — absent Keynesian countercyclical spending — and his kindly face boyishly pudgy. As he marshals argument after argument against his intellectual enemies, I think of a teddy bear savaging a Rottweiler. “The predominant view in the profession is that there’s one particular way of doing economics. It’s basically to set up some mathematical model, the more complicated the better,” he says, advocating instead what he calls a multidisciplinary approach. The cutlets arrive with a clatter. Chang squeezes on lemon juice and cuts them up so we can share. The chicken is sumptuously juicy. “I don’t take that view,” he says, cramming in a piece of lamb before he continues. “Rational thinking is an important aspect of human nature, but we have imagination, we have ambition, we have irrational fear, we are swayed by other people, we get indoctrinated and we get influenced by advertising,” he says. “Even if we are actually rational, leaving it to the market may produce collectively irrational outcomes. So when a bubble develops it is rational for individuals to keep inflating the bubble, thinking that they can pull out at the last minute and make a lot of money. But collectively speaking ... “His hands create a bomb blast above the cutlets. He smiles beatifically. I ask how the economics profession has been hijacked by a single methodology. “Hijacked, yes. I think that’s right,” he says, evidently pleased with my choice of word. As our main course arrives the table begins to fill with a fantastic array of curries and breads. I’m famished and eating faster than Chang. The beef, full of competing flavours, is particularly terrific. We turn to his childhood, when he witnessed first-hand how economic policies can transform a country’s fortunes. He was born in Seoul in 1963. His father was a finance ministry official and his mother a teacher. Two years before Chang was born, Korea’s gross domestic product per capita was $82 (Dh301) compared with $179 in Ghana. He remembers how red the soil was in Seoul, now one of the world’s most neon-filled cities, because all the trees had been cut down for firewood. Park Chung-hee had recently seized power in a military coup. Korea established a steel industry, a seemingly eccentric choice for a country without iron ore (it had to import it from Australia and Canada) or coking coal. Yet steel became a foundation of Korea’s industrial success. Chang believes that Park, though a dictator, made some smart choices and that the only countries to have prospered are those that ignored the siren call of free markets and comparative advantage — the idea that you stick to growing bananas if you’re a tropical island — and planned their escape from poverty. His studies consolidated his thinking. Countries, he argued, needed to develop their capabilities, just as a child’s potential is stretched in school. In 1955, for example, when General Motors alone was producing 3.5 million cars, Japan had 11 or 12 manufacturers collectively producing 70,000. He tears the appam and hands me a piece. It’s airy and faintly sweet and wonderful for mopping up the curry. “We have been led to believe that the market is some kind of natural phenomenon. But in the end, the market is a political construct.” The regulations around us — for instance those banning child labour or private money-printing — are invisible, he says. He cites the example of how Park’s government engineered a 30 per cent jump in wages through a massive shrinkage of the labour force. It was achieved, he explains, by making education compulsory up to the age of 12, removing at a stroke millions of children from the labour pool. Policy changed the market reality. As Chang turns to the fish curry, I ask about his family. He met his Korean wife in 1992 and married her the following year. “As a good Korean I am very impatient,” he grins. He has two children. His son, now 13, is still being sheltered at school from a career in shoe shining. His daughter is reading history at Oxford university. So she’s broken out of the economics trap, I say. “Good for her,” he replies. We order a double espresso for Chang and black filter coffee for me. We’ve been talking for nearly two hours but he still has bags of energy and I still have bags of questions. What’s all this about the washing machine and the internet?